How Much Does Food 4 Less Pay? How Old Do You Have to Be to Work at Food 4 Less? Does Food 4 Less Drug Test? With a career at Food 4 Less, you join a community that gives back to the community. Too many children in America are fighting food insecurity. Odds are you or someone you know have been affected by hunger. You can be part of a company that’s committed to eliminating waste and donating more balanced meals to people who need them. Food 4 Less is part of The Kroger Company. It’s a supermarket that focuses on local food, local people and the local community. Working at this company means you’ll have an opportunity to learn a variety of skills and gain experience that will look great on your resume. A lot of different types of jobs are available at Food 4 Less, from Stocker to Cake Decorator to Pharmacy Technician. All this variety makes it easier to find a position you’re interested in. This guide will walk you through some of the jobs that are available and how to get them. We will tell you what to expect from the application process. Keep reading to find out how to give yourself an edge over other applicants. If you’re ready to sign up, you can search for job openings in your area and apply on Kroger’s career page. Alternatively, you can walk into your local Food 4 Less and ask if they’re hiring. If they are, you might be able to fill out an application and schedule an interview immediately. Be ready with a copy of your resume in hand and a clean, tidy appearance. If you love scavenger hunts, this is the job for you. eCommerce Associates start with a list of what a customer has ordered online. Then they go around the store putting all the items they need together. Finally, they send it off to the customer. eCommerce Associates never need to worry about the negative effects of sitting for too long. You will definitely meet your step goals in this job. Racing your coworkers to fill orders keeps things interesting. To succeed as an eCommerce Associate, you’ll need to enjoy being active and completing tasks quickly. You’ll also need to be detail-oriented. In addition, you’ll need to communicate with customers if the store doesn’t have something they ordered. As a Cake Decorator, you could be part of making celebrations special every day. It’s important to listen to the customers, but this is a job with a bit of room for artistic flair. Cake Decorators usually start the day quite early. That way, they can prepare cakes that are fresh and on time for parties and weddings. In addition to decorating cakes, Cake Decorators will need to clean supplies like nozzles and icing bags, and sanitize the surfaces they use. Do you enjoy arts and crafts and are good at detailed work? You may make an excellent Cake Decorator. Friendly people who thrive in a fast-paced environment will shine as Front End Hourly Associates. These people do it all, from getting people through the cashier line quickly at rush hour to maintaining the store environment. Many Food 4 Less stores like to cross-train Front End Associates in different departments. Therefore, this position could be an easy way to get experience in several areas. You could gain valuable skills and keep things interesting by trying out different positions. Pharmacy Technicians spend their days helping customers feel better. They count, measure and prepare products. They also keep accurate customer records. Being a Pharmacy Technician is a smart choice if you have any interest in the medical field. You may just genuinely enjoy helping people. You will be able to assist the Pharmacist with almost everything. As a result, you will be able to learn about all aspects of pharmacy. Who needs a gym membership when you could get a job as a Stocker? Stockers regularly handle items that weigh 50 pounds or more, so you could get paid to develop the upper body strength you’ve always wanted. As a Stocker, you will move items around the store, organizing, stocking and rotating things on the sales floor. You’ll help manage displays for seasonal items and new products. In this position, it’s important to be aware of safe food handling procedures to protect customers from food buying spoiled food. In addition to the jobs listed above, Food 4 Less has a variety of manager jobs available. These jobs are spread across the store, different divisions and the General Office. At the store level, the Manager of Produce uses resources effectively to meet or exceed budget targets. These managers train and schedule employees and encourage teamwork within the store. Strong candidates for this position will have a high school diploma (or equivalent) and five years of experience in the supermarket industry. They will also need to complete a management training program. Division Facility Engineering Managers travel to store locations within their division to talk to staff and determine how effective programs and daily maintenance operations are. They are responsible for managing replacement and repair budgets and training maintenance staff. To apply for this position, you’ll need a Bachelor’s degree in Engineering and high level computer skills. In the General Office, the Automation Engineer works to create a smooth production workflow for the company. When a piece of machinery isn’t working as well as it should, the Automation Engineer finds a way to improve it. They also train people to use manufacturing equipment. For this job, you’ll need a Bachelor’s degree in Engineering and advanced knowledge of automated machinery programming languages. Food 4 Less careers come with competitive pay and more benefits than many comparable workplaces. Because it’s part of The Kroger Company, employees are part of a union that offers some perks and protection. After a probation period, your compensation package may include discounted insurance, retirement plans and paid holidays and sick leave. 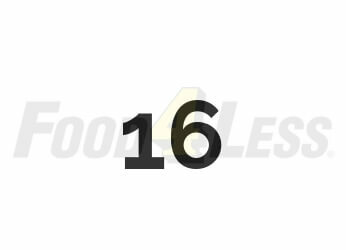 For most entry-level jobs at Food 4 Less, the minimum age is 16. Pharmacy Technicians have to be at least 18. You will also need to be 18 or older to apply for manager-level jobs with Food 4 Less. Yes, Food 4 Less often requires a drug test for new employees, so remember to have your driver license or other photo ID with you. It will be a standard drug test, and results may take anywhere from one day to three weeks to become available. Why do you want to work at Food 4 Less? With a little preparation, you can use this question to set yourself apart from other people applying for a job. Show your employer that you are a problem-solver and that you can take initiative to get things done. A short example of a time when you were able to solve a problem for someone can serve as proof that you have the qualities you say you have. What skills do you have for the job you’re applying for? Reading the job description carefully is crucial for this question. You’ll need to know what it takes to do the job well, and then show that you’ve got it. Spend some time thinking through which part of the job you will be best at. If you’re not sure, you can think about which part you might enjoy most, or ask a friend to help you. This may sound unrelated, but working at Food 4 Less means you’ll be moving and walking around for most of your shift. If you play a sport or have a workout routine, this is a great time to mention that. Your employer will want to know you can handle the physical demands of this job. If you have helped a difficult customer before, you can tell a very short story about how you provided great customer service in a tough situation. If not, no problem. Your employer needs to know that even if a customer is unpleasant, you can treat them with respect and do your best to solve their problem. Things like listening carefully to the customer and not taking it personally can make a bad moment much better for everyone. Dress neatly, make eye contact and smile. When you go in for your interview, do your best to look like you already belong. Khakis or black pants and a polo shirt make you look like you are ready for the position you’ve applied for. Customer service is important at Food 4 Less, so your employer will be looking for applicants who have great verbal and nonverbal communication skills. A smile instantly makes you seem more confident and personable, so take advantage of that!